The Swiss maker of PC peripherals Logitech has expanded its lineup of mechanical gaming keyboards with the addition of two new models – the Logitech G610 Orion Brown and the Logitech G610 Orion Red. The new keyboards come with numerous features including dedicated media buttons, customizable while LED key backlighting and Cherry MX mechanical switches. “Keyboard enthusiasts want a variety of options,” said Ujesh Desai, vice president and general manager of gaming at Logitech. “Our new G610 Orion keyboards deliver a clean, sophisticated design along with a choice of mechanical switches.” Every aspect of the Logitech G610 Orion Brown and the Logitech G610 Orion Red – from the simplest details, such as fingerprint-masking matte texture and a durable braided cable, to the most complex details, including advanced bright white LED key backlighting – is precisely engineered. The result is industry-leading technology and quality of construction in a uniquely crafted design. 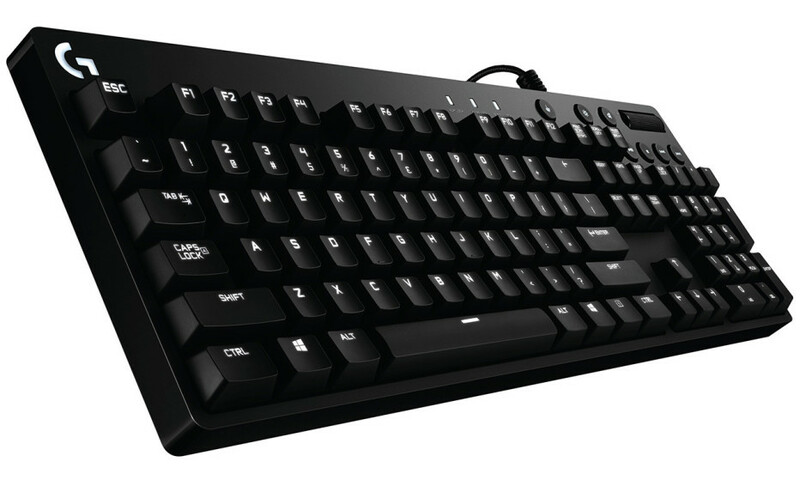 The Logitech G610 Orion Brown keyboard offers Cherry MX Brown switches with a tactile bump for feedback while you type, while the Logitech G610 Orion Red comes with low-noise Cherry MX Red switches with a linear keypress for rapid-fire actuation. In both cases the used mechanical switches are rated for over 50 million keystrokes. In addition to all this the new Logitech keyboards support custom button macros on the F1-F12 keys and have the so-called Game Mode in which some of the keyboard keys can be turned off. The Logitech G610 Orion Brown and the Logitech G610 Orion Red will be commercially available later this month in stores across the United States and Europe. The keyboards will cost USD 119 and USD 139, respectively.